Affordable. Flexible. Mobile. Accessible. Anonymous. Effective. Choose your own schedule. Job, school or travel make it hard to attend ongoing treatment? OSAT’s online recovery programs make it easy. Go anywhere or stay at home and still stay connected to professional recovery help. Accessibility. Live too far away from high quality help, have a disability, transportation issues, or travel-challenged for any reason? OSAT’s online recovery programs come to you. Privacy. OSAT’s Online Counseling lets you fully participate in live group meetings without ever showing your face or telling your real name. Support. 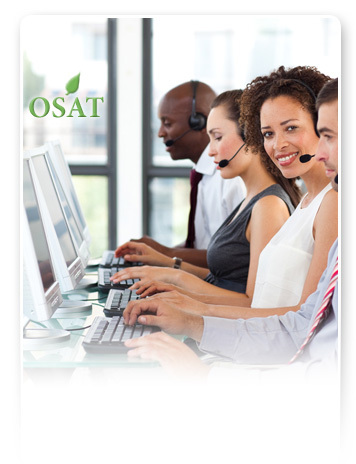 OSAT’s online recovery programs let you do the work in the comfort of your home, where your family can participate. Get the benefit of more support and accountability at home, where it does the most good. Refresher course in recovery. The timeless information and exercises in OSAT’s Online Self Directed Recovery Course are worth returning to again and again to sustain and deepen your connection to yourself and to your sobriety. Leniency. OSAT’s online recovery programs give you certificates of enrollment and completion that show you’ve gone through the material and passed the quizzes and final exam. Many judges and employers look favorably on this kind of self-initiative. Results! According to new research from Johns Hopkins University and the Institute for Behavior Resources in Baltimore, interactive online treatment programs were found be as effective in the short-term as traditional in-person counseling. (reported April 19 in the Baltimore Sun). Three times a week, in this dynamic ten week program, group members from all over meet online under the guidance of an experienced counselor, and work together to overcome their dependency on drugs and alcohol. OSAT's Online Counseling program uses the same proven approach – based on Cognitive Therapy and the 12-Step philosophy – that is so successful in our treatment centers. We're proud to have one of the highest success rates in the country!